This beautiful domain, located on the hill of the village "Volnay", has a great historical value. In 1804 Baron du Mesnil collected a number of wine lots in "Vollenay" (around the Clos des Ducs) which, in the 12th century, belonged to the famous vineyards of the Ducs de Bourgogne. After the phylloxera crisis, the grandson of the Baron, the Marquis Jacques d'Angerville, started the replanting of its domain Volnay with very carefully selected Pinot Noir vines. A fierce advocate of wine authenticity, he pioneered estate bottling and selling directly from the domaine. His constant quest for quality and authenticity motivated him to become a founding member of the INAO foundation (Institut National des appellations d'Origines). His son, also named Jacques, took over the estate in 1952 to become certainly one of the best winemakers in Burgundy. His local reputation was well known as a charming, sensitive and intelligent man. 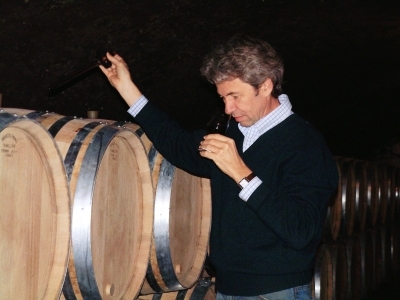 Jacques d'Angerville unfortunately died at a much too young age in July 2003, after having devoted his life to the Burgundy wines and the better wines in Volnay. Being described in the Bettane & Desseauve guide as "the most important Burgundian wine maker of the 20th century", he left a beautifully maintained domain behind, with wines that were a reference and a true philosophy of the great Burgundy wines. His son, Guillaume, took over the responsibility of the family estate and continued in the footsteps of his father and grandfather. With Renaud de Villette at his side, an agricultural engineer, who spent 15 years with Jacques d'Angerville, the domain only becomes stronger. All the vineyards are planted in an Eastern-oriented direction and planted on soil containing a lime-like and marl deposition. This rocky underground provides the storage of the heat from the sun, which accelerates the aging of the grapes. The sloping vineyards also provide an excellent addition for water drainage. This domain now covers 15 Ha of vineyards, of which the best one is a monopoly: the Clos Des Ducs. The Volnay Taillepieds and Champans, with their light and delicate style, were allowed to be richer and fuller in some years. In the late 70s and early 80s these wines were submitted to fairly heavy filtering and collage. Anyway, since the end of the 80s, all millesimes have been beautiful and show more matter and intensity without giving in to their delicate and fine character. 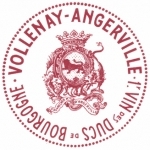 Most d'Angerville wines demand 5 to 6 years of cellar aging and some years more for the biggest wine years. They reach their top after 10 to 12 years, but can certainly be kept for 2 decades.